PVC is a problem for both people and the environment. For this reason, VAUDE wants to become completely PVC-free by 2020. We’re already well on our way: at our German location in Tettnang, our manufacturing is already 100 % PVC-free. Discover our PVC-free backpacks, bags and tents for your next outdoor adventure. Even without harmful PVC, these products are fully waterproof and feature climate-neutral manufacturing. PVC – what really is it? PVC is the abbreviation for Polyvinyl chloride. This durable plastic is used to manufacture canvas and bags (and of course, much more.) PVC is not only tough and easy to take care of, it’s also waterproof – one of the reasons why PVC is often used for the production of outdoor products. VAUDE only uses plasticizers that are approved in accordance with the European Chemical REACH Regulations. However, since PVC has many other problems and dangers, we are always looking for environmentally friendly alternatives to PVC. PVC-free production is important to us for several reasons. Toxic substances are already used in the production of PVC, some of which are still detectable in the finished product. For example, heavy metals and toxic chlorine compounds are used in PVC production. The raw material for PVC, the gas vinyl chloride, is also considered to be carcinogenic and highly harmful to health. However, the pollutants and plasticizers contained in PVC not only pose a hazard to humans, but also a burden on the environment. 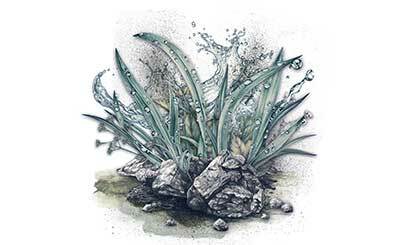 These substances leach into soil, air and groundwater when they’re thrown away. In addition, PVC can only be broken down into its basic components with an immense use of energy and water. As a result, PVC is virtually non-recyclable. 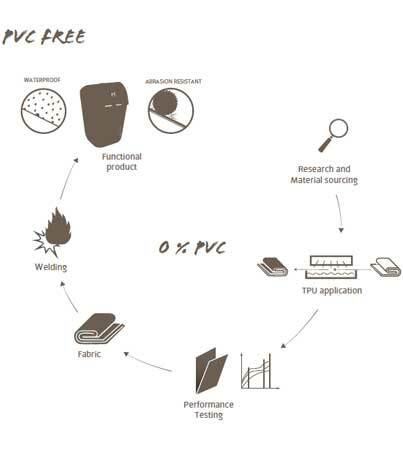 VAUDE has set itself the goal of using only environmentally friendly alternatives to PVC by 2020. Our Made-in-Germany products are already PVC-free and are produced by us in a completely climate-neutral manner. However, you don't have to do without robust, durable and waterproof equipment. For many years now, we have been developing waterproof products at our Tettnang site which, thanks to innovative manufacturing processes, do not require any PVC at all. 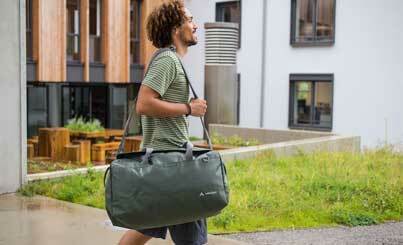 Among our PVC-free Made-in-Germany products you will find mainly bags and backpacks. This way you are well equipped for your outdoor activities and at the same time protect the environment.